The future apprentice needs to have a good understanding of technical matters, to enjoy working metal and to be responsible as well as persevering. A good visual appreciation, the sense of shapes and manual aptitude as well as teamwork spirit and independence are also a plus. The completion of compulsory schooling is required. Good marks in mathematics, geometry and technical drawing will make the initiation to practical and theoretical work easier. Successful candidates shall receive a federal certificate of capacity (CFC) with the title of panel beater. Duration of the apprenticeship: 4 years, comprised of 4 days of work and 1 day of school per week. Repair damaged bodies and restore their original shape using specialized (traditional or alternative) repair and measure equipment. The panel beater collaborates with painters and sometimes with mechanics as well. The repair process involves various techniques, such as dismantling, repairing, removing dents on the various elements of the body (hood, wings, roof, doors, etc), the use a car bench to repair the structure elements, assembly and fitting of parts. A conscientious work ethic, perseverance, manual aptitude, the sense of shapes and colors as well as good drawing skills are the main qualities required to become an apprentice painter. Independence, reliability and teamwork spirit are also necessary. The completion of compulsory schooling is required to become a painter apprentice. Successful candidates shall receive a federal certificate of capacity (CFC) with the title of painter. Duration of the apprenticeship: 4 years, comprised of 4 days of work and 1 day of school per week. Painters intervene after the panel beaters, most of the time to give new life to damaged cars. Maintain car paint, with the help of polish, Teflon treatments, etc. 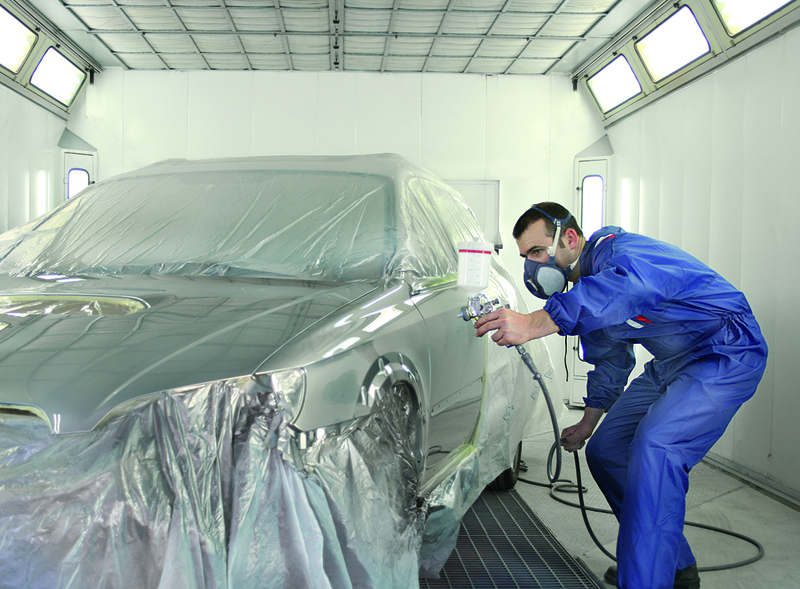 When the vehicle comes straight from the bodyshop, the painter needs to smooth out the repaired part, by adding a sealant and a surfacer, that will subsequently be sanded, to correct any last tiny defaults and to fully isolate the various layers. The surface preparation stages are key to obtaining a perfect final result. They require repetitive and delicate work.